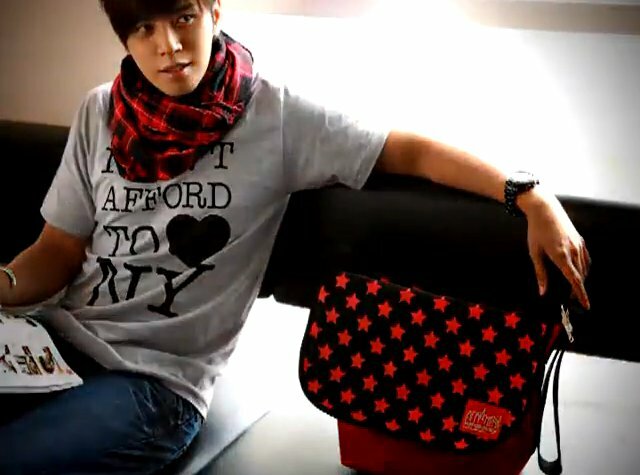 [News] Show Luo (羅志祥) impersonates as a salesperson for a day. 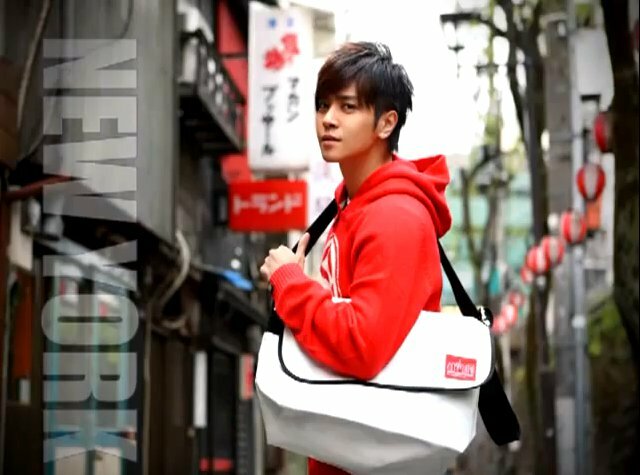 Earlier this year, Show Luo earned a spokesperson role for Manhattan Portage, an American-based company and makers of New York messenger bags. 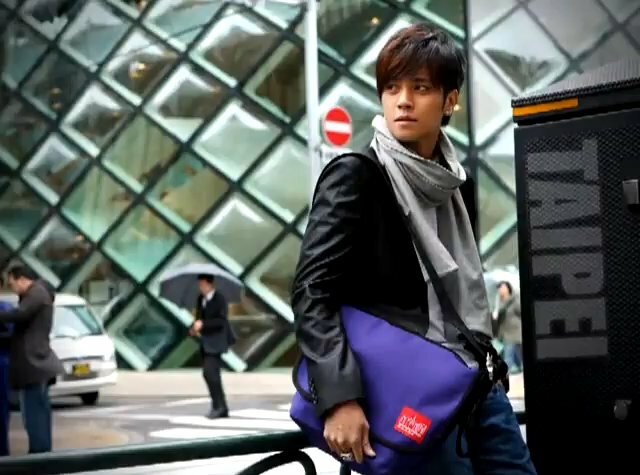 The Taiwanese entertainer's recent position for Manhattan Portage marks the first time that the internationally renowned messenger bag brand cast a spokesperson from a Chinese Mandarin-speaking country. For his spokesperson gig, Show was required to travel to Tokyo several months prior for various commercial shoots, which exposed the popular star to near-freezing temperatures while dressed lightly. Despite being exposed to the cold elements while being under-dressed, Show continued to express content and maintained his professional composure. The famous singer/actor expressed, "Prior to the (commercial) shoot, I wished to show off a different interactive style with the bag. And before we got down to business, I especially wanted to first adopt a male look that was different from (the stereotypes of) studying and doing homework." 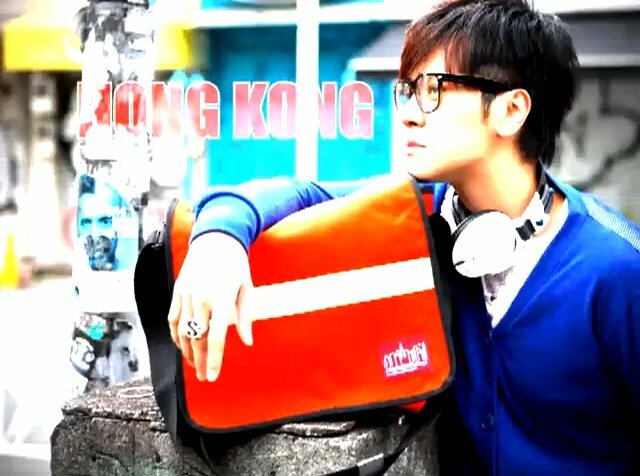 In addition to filming the commercial ads for the company, Show also made a secret visit to Hong Kong in order to help advertise the bags in the branch stores located there. During his visit, Show took on the role of a salesperson as he demonstrated the different functions of each of the various models of the messenger bags, as well as teaching customers the quality differences between the brand's bags and counterfeit versions. The sales manager for the branch store visited by Show smiled and stated that the Taiwanese entertainer was more professional than their salespeople, and also wished that the pop star could help them out by becoming a permanent fixture of their sales team. 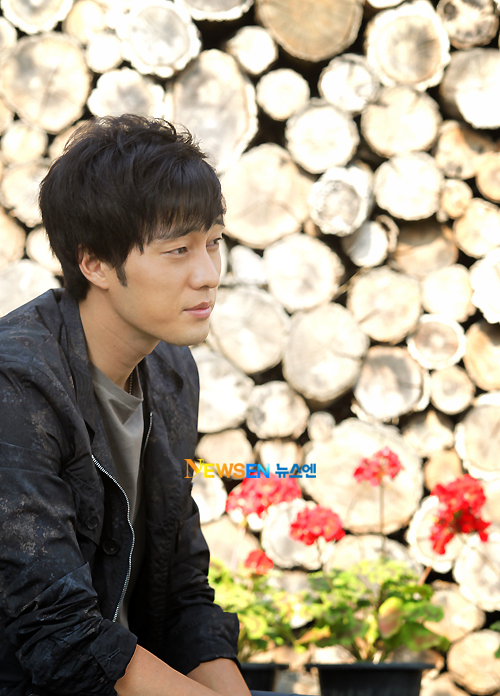 [News] So Ji-sub says felt bad for Han Ji-min over marriage rumor. Korean actor So Ji-sub has said that he "felt bad" for actress Han Ji-min, his co-star in last year's TV series "Cain and Abel", about their marriage rumors last year. The actor made the remark during an interview with Asia Economic Daily on Monday, speaking up about the rumor for the first time. "I don't know why such talk came up. First came the marriage rumor and that there would a press conference the following day in regards to it but no reporter actually knew about it", explained the actor. "I even saw a photo referring to what they called a couple ring but there was no such thing". "I felt bad for her [referring to Han Ji-min] because [marriage rumors] could be fatal for an actress", So said. Last August, reports said the two stars were dating, but So and Han had both denied any romantic involvement through their agencies. "I really want to meet a woman now. My idea of an ideal woman changes but I want someone who is very understanding and comfortable to be around", So added. So, 32, is one of the most popular actors in Korea who has appeared in numerous TV dramas and movies since his debut in 1995. He became a household name in Asia with the back-to-back success of "Something Happened in Bali" (SBS, 2004) and "Sorry, I Love You" (KBS, 2004). He currently stars in MBC's war drama "Road No.1", playing a soldier who is madly in love with one woman, played by actress Kim Ha-neul. 소지섭 "왜 결혼설 난건지…한지민에 미안해"
"전화도 못하고 연락 끊겨…사랑보다 일이 먼저"
탤런트 소지섭(33)이 한지민(28)과 연락이 끊겼다며 안타까워 했다. 28일 소지섭은 지난해 말 불거진 한지민과의 열애설, 결혼설 등에 대해 입을 열었다. 소지섭은 "한지민과 결혼설이 도대체 어디서 나왔는지, 시작이 어떻게 됐는지도 모르겠다"며 "너무나 가슴이 아프다"고 털어놓았다. 그는 "결혼설이 터지고 기자회견을 한다는 말까지 나왔는데 기자 분들을 아무도 모르고 있더라. 커플링이라고 나온 사진도 봤다. 하지만 전혀 그런 일이 없다"고 재차 부인했다. 소지섭은 한지민과 지난해 드라마 '카인과 아벨'에서 호흡을 맞춘 후 '결혼설'이 불거졌고, 그 후로 두 사람은 연락도 끊겨졌다. "나야 남자배우지만 여자배우한테는 굉장히 큰 일 아니냐. 미안해서 전화도 못하고, 연락이 끊겼다." 가장 최근 연애 경험도 털어놨다. 그는 "소집해제 끝났을 무렵(2008년)이 마지막"이다. "사랑은 안 하는 건 아니지만 희한하게 작품 들어갈 때 쯤 헤어진다"며 "바쁘다보니 일주일에 한 번, 한 달에 한 번 연락을 한다. 그러다 보니 서로에 대한 신뢰가 덜 생긴다"는 스타의 고충도 털어놨다. 일단 사랑을 시작하면 해바라기다. 이런 면에서는 출연 중인 MBC TV 수목드라마 '로드 넘버원'의 '장우'와도 닮았다. "장우의 매력은 단순하지만 오직 하나만, 수연만 생각하는 것이다. 나도 실제는 약간 그런 스타일인 것 같다." "사랑보다 일이 먼저라고 느껴질 때는 정말 가슴이 아프더라. 이제는 여자를 진짜 만나고 싶다. 이상형은 매 번 바뀌지만 편안하고 이해심이 많았으면 해요." 아직 결혼 생각은 없다. 과거에는 일보다는 사랑이었는데 최근에는 사랑보다는 일에 무게를 더 두고 싶다. "연기하는 데는 나이를 먹는 것이 좋은 것 같다. 나는 지금 한창 일할 나이다." 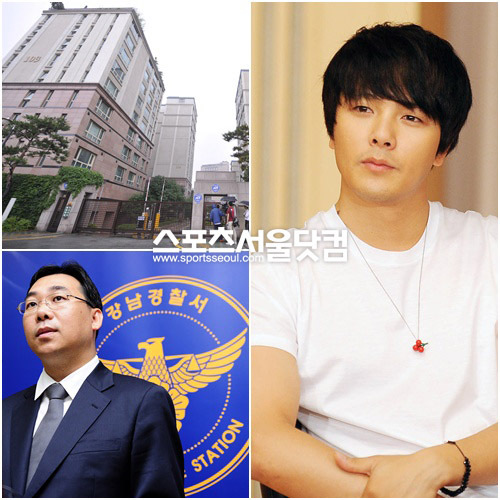 [News] Gangnam Police Station confirm Park Yong-ha found dead in apparent suicide. A South Korean actor and singer who rode the wave of Korean pop culture in Asia was found dead at his home in Seoul Wednesday in an apparent suicide, police said. 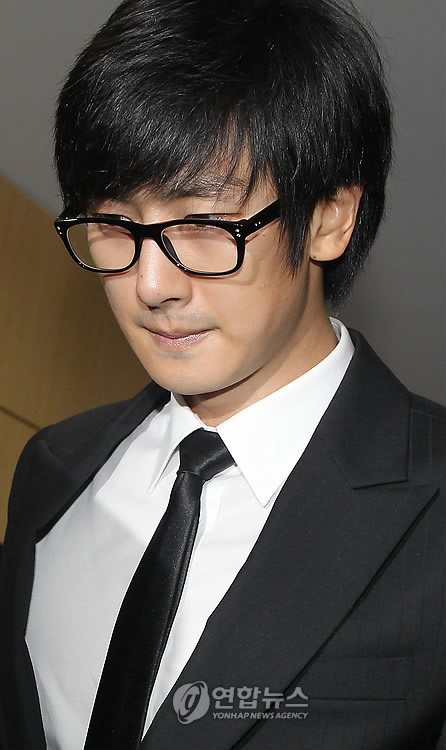 Park Yong-Ha, 33, was found in his room by his mother after he apparently hanged himself with an electrical cord, KBS TV said. Police said it appeared to be a suicide but declined to comment on whether Park had left any note. Gangnam Police Station said Park's mother found the 32-year-old celebrity hanging himself by from the cord of his mobile phone charger at around 5:30 a.m.
Police have yet to announce the details to Park's death -- they are investigating into the cause behind his suicide based on testimonies by his family. 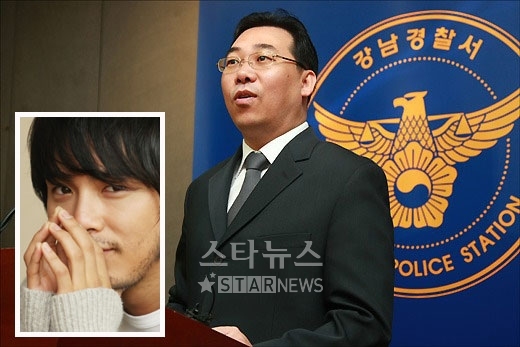 A source close to the actor said Park had been having a hard time coping with his father's illness. "He had much filial love for his parents. I heard his father, suffering from a chronic disease, was recently moved home from the hospital". 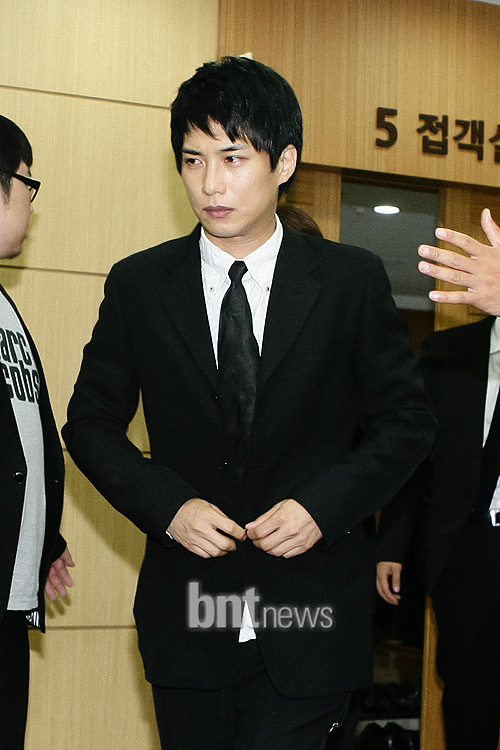 Park spent his last moments Tuesday night with his father, who is suffering from cancer, KBS said. 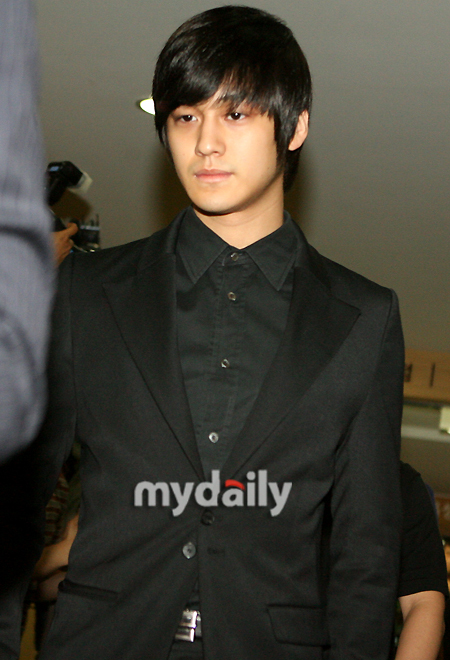 He reportedly massaged his father for a long while before leaving with the words: "I'm sorry. I'm sorry." Park shot to fame through the 2002 hit TV drama series "Winter Sonata" and won fans in Japan and other Asian countries. He also released albums as a singer. He had been chosen for the leading role in a Korean television drama, a remake of the popular 1996 Hong Kong film, "Comrades, Almost a Love Story". Shooting was set to begin in July. 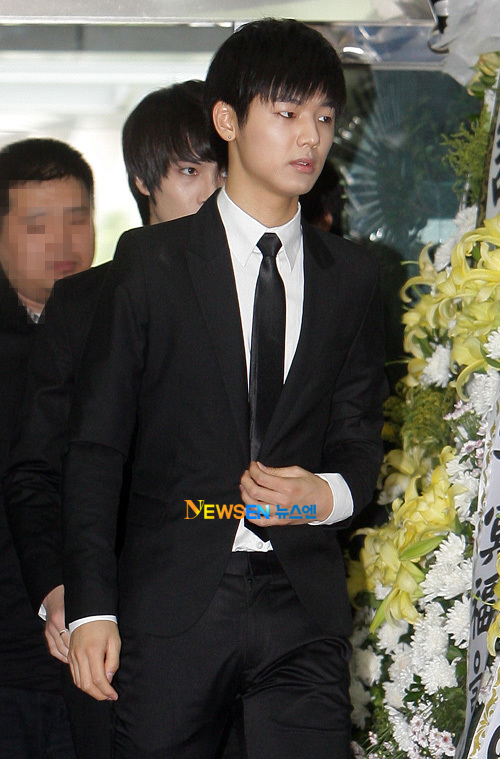 Park's body has been placed at Seoul St. Mary's Hospital. Park, 32, gained popularity throughout Asia after appearing in "Winter Sonata", a drama that first started the Hallyu craze, alongside top actors Bae Yong-joon and Choi Ji-woo. He has also led a successful singing career in Japan where he has placed several albums within the top 10 ranks of the Oricon charts and won four consecutive Japan Gold Disc Awards. Most recently, he had been set to star in the small screen adaptation "Love Song - Drama" of legendary Hong Kong pic "Comrades, Almost a Love Story", across actress Yoon Eun-hye. A major Hollywood studio had shown interest in the series which was revving up to go into shoot around late July and air in Korea at the end of the year. 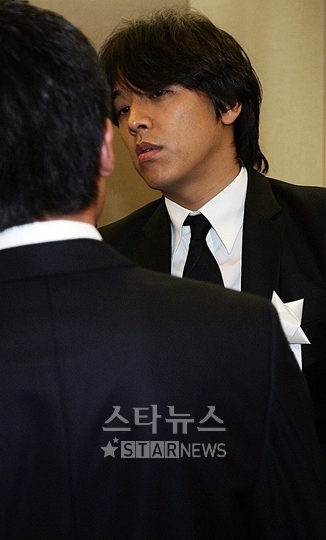 Park Yong-ha was be the latest of a number of entertainers to kill themselves. They include top movie actress Lee Eun-Joo who committed suicide in 2005 and Choi Jin-Sil who died in 2008. Suicide is the highest cause of death among those in their twenties and thirties in South Korea, which in 2007 had the highest suicide rate among members of the Organisation for Economic Cooperation and Development. The health ministry says 23.9 in every 100,000 South Koreans committed suicide in 2007, compared with 19.4 in Japan, 16.7 in Finland, 14.2 in France and 14.0 in Switzerland. 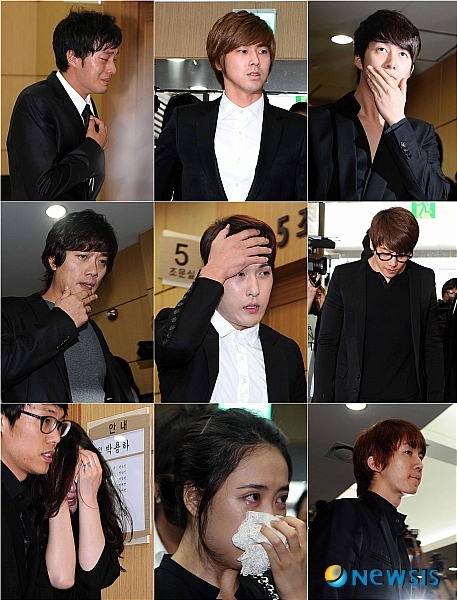 [Photo & News] Many Celebrities mourn and burst into tears for the death of Park Yong Ha. 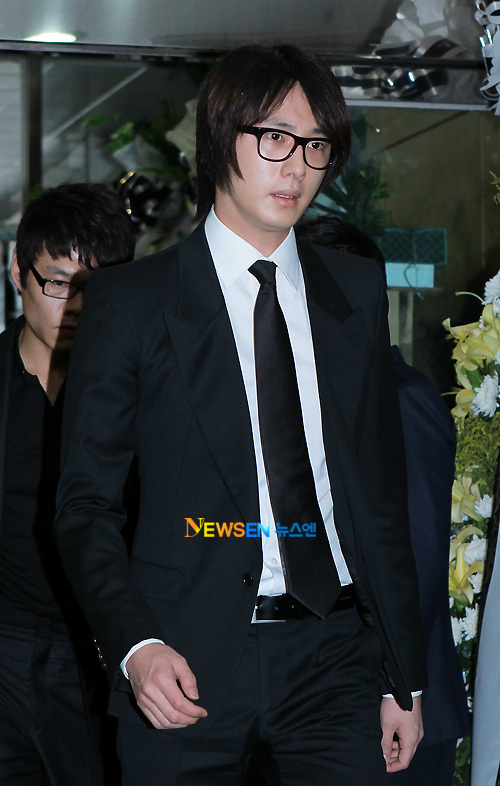 Shortly after the unfortunate news of Park Yong Ha’s death went public, many celebrity figures have begun to express their condolences. Quite many have already paid a visit to the hospital where the man now rests in peace, but it seems like the loss is just too shocking for anyone to handle easily. TVXQ’s Jaejoong was one of the first ones to hear of Park Yong Ha’s death, as he’s been a good friend of the actor for a long time. With both being popular in Japan, the two often shared advices on their international activities. Many stars used Twitter to mourn over the actor’s death. MC Mong and Jo Kwon both tweeted, “My condolences go out to Park Yong Ha.” Jo Kwon also shared a story of how Park Yong Ha was at a nearby studio while he was recording Like a Stupid for the drama Personal Taste with his 2AM members. 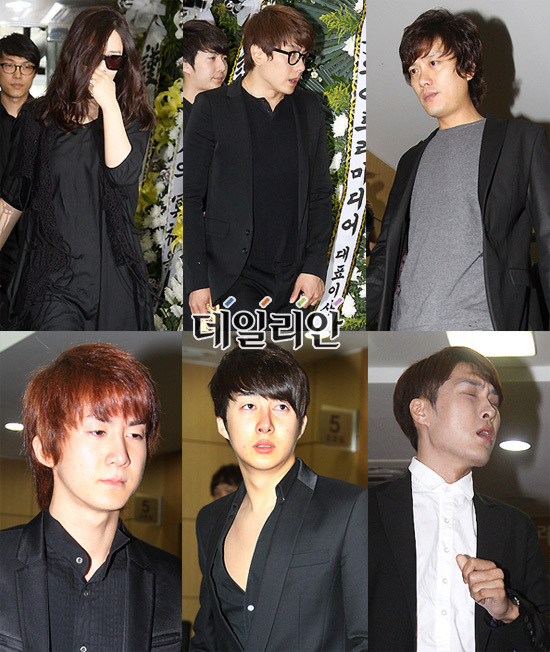 Park Yong Ha’s fellow actor, So Ji Sub was the first celebrity to arrive at the mortuary, and was seen weeping in sadness. He murmured “How could this happen…” but couldn’t finish his sentence from overflowing tears. Actress-singer Eugene was perhaps the most shocked one of all. She had a public celebrity & celebrity relationship with Park Yong Ha, but separated quite a while ago. According to her acquaintance, she was simply too shocked to even shed tears, and expressed her need to be alone at the moment. 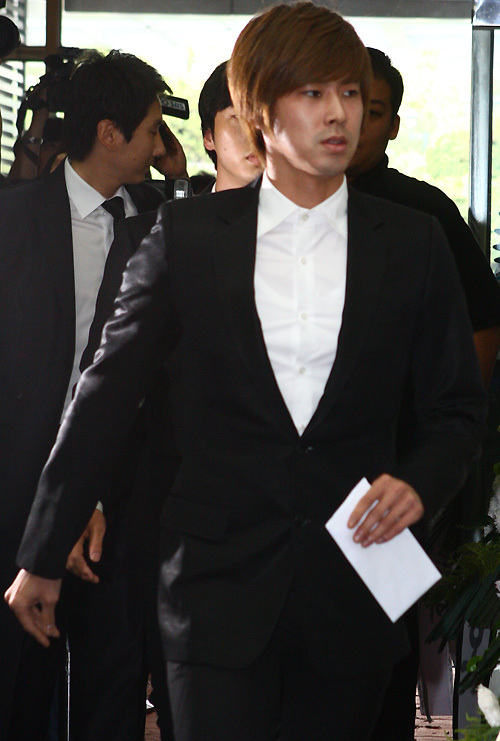 Other celebrities who came to pay their respects also include Park Hee Soon, Kim Hyung Joon (SS501), Ki Bum (U-Kiss), Park Hyo Shin, Kim Hyun Joo, Kim Min Jung,Choi Ji Woo, Lee Byung Hun, Yunho, Park Shi Yeon, Ryu Si Won, CNBLUE, Eru, Song Seung Hun, Jung Il Woo,Kim Ha Neul, Go Joo Won,Lee Joo Hyun, Kim Bum, Shim Ji Ho, Kim Min Sun, Lee Yeon Hee,Lee Philip, etc. It’s very tragic to let go yet another Korean celebrity, especially such a talented one at the age of just 32 with so much potential for the future. 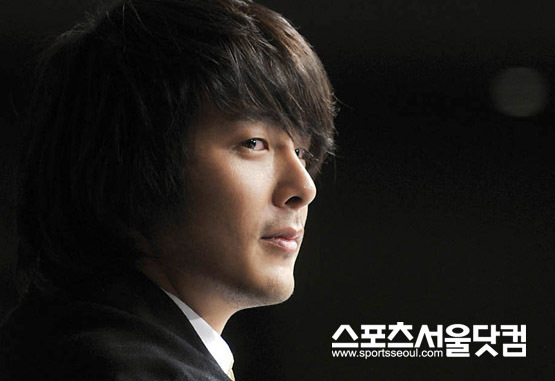 Rest in peace, Park Yong Ha, and our hearts go out to your family and loved ones.